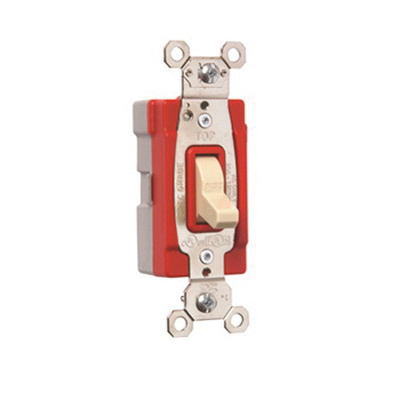 Pass & Seymour PlugTail™ 1-Pole Industrial extra heavy-duty specification grade toggle switch has voltage rating of 120/277-Volt AC and current rating of 20-Amps. It withstands dielectric voltage rating of 1500-Volts. Automatic switch in ivory color, features glass-reinforced, chemical-resistant thermoplastic body and toggle. With back and side wiring, this switch accommodates wire of size 14 - 10-AWG. It measures 1.32-Inch x 1.073-Inch x 3.281-Inch. It has 1-Piece nickel-plated brass strap and auto-ground clip for positive ground. The heavy-duty toggle bumpers of this switch ensure smooth and quiet operation. It is ideal for health care, industrial, education, institutional, multiple dwelling and hospitality. Switch operates at temperature range of -40 to 115 deg C. It is UL 94 V2 flammability rated to withstand harsh environmental conditions. 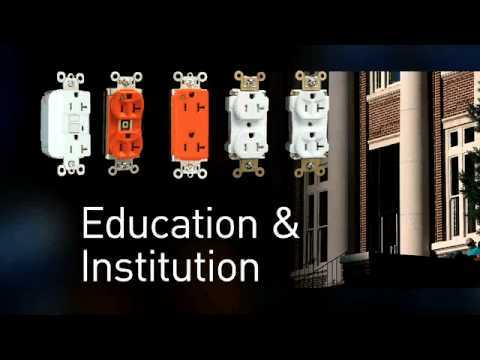 Toggle switch is UL/cULus listed, CSA certified and meet Federal specifications.